SANTA CRUZ, CA--(Marketwired - Nov 5, 2013) - Zero Motorcycles, the global leader in the electric motorcycle industry, today announced its 2014 model line which features a new Z-Force® Power Tank accessory that allows riders to travel up to 171 miles in the city or 88 miles on the highway. Providing customers with the unique ability to increase energy storage capacity during or after purchase, the Power Tank can be added to any 2014 Zero S or Zero DS model. The company also announced a new "R" configuration of their award winning Zero S model that offers riders 56% higher torque and 24% more power. Available in a new deep red color, the Zero SR offers riders 106 ft-lbs of torque through a wide power band and does 0-60mph in 3.3 seconds using Zero's highly efficient direct drive system. The Zero SR, as well as the entire lineup, includes improved suspension, well-integrated new design elements and a sleek new dash. "For 2014 we focused on evolving the features that customers appreciate most while also providing more value. The results include impressive options for increased range and improved performance at more competitive price points than ever before," said Richard Walker, CEO of Zero Motorcycles. "Additionally we are excited to announce five year standard power pack warranties for every new model that covers up to 100,000 miles. As always, we invite consumers to discover the thrill of riding a Zero by contacting an authorized dealer to sign up for a test ride or to place an order. The new lineup arrives in January." A signal that the technology has matured, the latest California built electric motorcycle line represents an evolution of an already cutting edge product line and uses the same core Z-Force® technology as last year's models. The new features of the 2014 model line largely revolve around refining general motorcycle componentry and design. The suspension of every model has been upgraded with more robust 43mm front forks and a completely reworked rear shock. The front forks of each motorcycle are now connected with wider triple clamps that are seamlessly integrated into the bodywork and front headlights. Facing the rider, an entirely new dash with a high contrast and cool-blue backlit LCD screen lists out useful riding information and motorcycle statistics. The display also indicates to the rider whether they are in the "eco," "sport," or the new "custom" riding mode. Using new right hand switch gear, riders can toggle between the different performance profiles. They can also set the custom performance profile using the Zero Motorcycles app, which now supports English, German, French, Spanish and Dutch. After conducting market research and listening to customers, Zero has chosen to refine the consumer product line to three core models: the Zero S, Zero DS and Zero FX. The intent of this approach is to put more time and effort into perfecting the motorcycle experience that customers value most, while also providing even more value in each model. Riders will see and feel some of the difference this makes immediately with newly designed bodywork elements, neatly integrated componentry, improved braking and better handling on account of increased torsional rigidity in the chassis. As a result of the refined model offerings, the price of the Zero S and Zero DS models have actually come down by around $1,000 as compared against the 2013 lineup. "The 2014 model line is engineered around our guiding principle of sophisticated simplicity," said Abe Askenazi, CTO of Zero Motorcycles. "Driven by the powersports industry's most advanced electric powertrain, each model delivers a thrilling experience that distills riding into its most enjoyable elements, while virtually eliminating all routine powertrain maintenance and peripheral distractions. Customers will be thrilled with the performance, quality and refinement that each model has to offer." There are a number of new design elements on each model that range from large and eye-catching to merely refined and subtle. The Zero S and Zero DS now feature an aerodynamic chin fairing that funnels air into the powertrain to provide additional air-cooling. Projector beam headlights illuminate the road for the Zero FX and are housed in aggressive black bodywork that beautifully ties into Zero's new dash. The Zero FX also features a new seat that provides a passenger area and owners can purchase passenger pegs as an aftermarket accessory. Overall, every component is designed with purpose and to create the riding experience of a premium electric motorcycle that is designed to thrill. The industry leading Z-Force® powertrain embodies a philosophy of "sophisticated simplicity" by maximizing the exhilaration of riding and minimizing needless complexity. The Z-Force® motor and overall powertrain is completely air-cooled on account of its highly efficient and innovative design. With instant torque, a nearly silent belt-driven system and no shifting, riders need only focus on enjoying the ride. For the owner, there is no routine powertrain maintenance and the 'fuel' cost is only a penny a mile. Zero Motorcycles is releasing three new fleet motorcycles for the 2014 model year. These models are the Zero SP, Zero DSP and a military spec motorcycle. With the ability to ride both on and off road, Zero's fleet program offers unique advantages over internal combustion driven machines. The 100% electric powertrain is nearly silent, exhaust free, produces minimal heat, has instant torque from zero rpm and is highly maneuverable. With a 'fuel' cost of a penny per mile and a maintenance-free powertrain, a Zero offers the ability for governments, agencies and organization to save money while also giving them a tactical advantage. Download the press kit on Zero Motorcycles press page for more information. 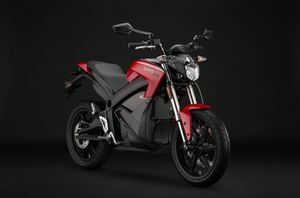 Pricing information: Each Zero Motorcycles model is 100% electric and, as a result, may qualify to receive government rebates or credits. Zero sells its motorcycles through authorized dealerships. Each motorcycle comes with a standard two-year warranty. In addition, Zero offers an industry best 5 year / 100,000 mile warranty* on the power pack of all 2014 Zero S and Zero DS models and a 5 year / 50,000 mile warranty* on the power pack of the Zero FX. Initial deliveries will commence in January for North America and in March for Europe. Authorized dealers will begin accepting orders on November 5th from consumers who would like to secure a 2014 model. The pricing for each model is below. *Warranty covers manufacturer defects in the power pack and degradation beyond expected parameters. Details will be made available online. **MSRP in USD. Prices vary by country and currency. Does not include local shipping, applicable taxes, PDI, or road registration fees. Please see international pricing at www.zeromotorcycles.com/shop. Zero Motorcycles is committed to transforming the motorcycling experience by bringing to market highly innovative electric motorcycles that offer exceptional value and performance. Zero is powered by innovation, driven by passion, guided by integrity, and measured by results. Through extensive research, insight and experience, Zero combines the art and science of motorcycle development to create and manufacture products that excite consumers and inspire brand loyalty. Every model is designed and built in California. Zero is determined to be the pre-eminent global electric motorcycle company.